RedOctane, original publisher of the Guitar Hero franchise, has been shut down by Activision. 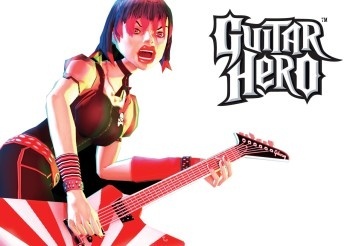 Remember back when Guitar Hero was a new idea? Well, if you do, you might remember that RedOctane was the original publisher of the game. Now, nearly four years after RedOctane's acquisition by Activision and the explosion of Guitar Hero games. the company has closed its door for good. Not everyone at RedOctane is out of a job however, the people responsible for creating the peripherals - the company was the source of the original Guitar Hero controllers - have been absorbed in Activision itself, but the 30-40 remaining RedOctane staff members have been let go. The announcement that Activision is to significantly cut its production of Guitar Hero SKUs is likely to have played a significant part in the closure of RedOctane, as well as staff cuts at Neversoft following the completion of Guitar Hero 6 in April. We hope that everyone who lost their job finds their feet quickly.